Are Federal Laws Increasing Atlanta Truck Accident Risks? Truck accidents are the cause of thousands of people getting hurt and hundreds-of-thousands of people getting killed. In 2012 alone, 330,000 trucks were involved in collisions, some of which were deadly. National Highway Traffic Safety Administration (NHTSA) reported 3,921 people were killed in truck accidents over the course of 2012. There were also 104,000 people hurt in truck crashes over this same year. All victims and their families need to understand how Georgia laws protect them when a truck accident happens. An Atlanta truck accident lawyer helps those who were hurt or whose loved ones were lost. Our attorneys assist in determining what state and federal regulations apply to your truck crash and help you to move forward with a case for damages. There are some federal laws which can help you to make your case and recover compensation. One example is FMCSR 387.9, which requires trucks have $750,000 liability coverage minimum or $5 million minimum coverage if HAZMAT transport is occurring. There have been, however, some efforts by federal law makers in recent years which have actually undermined truck safety. Richmond Times Dispatch reported on the latest situation where federal lawmakers are actually trying to make safety conditions worse for truckers. According to the Richmond Times Dispatch, lawmakers have inserted language into an aviation bill which addresses the efforts on the parts of some states to provide more protections to truckers. There are 22 states currently where truckers are guaranteed some form of rest and/or meal break which goes above-and-beyond what federal regulations mandate for breaks. Federal Motor Carrier Safety Regulations (FMCSRs) do provide limits on hours driven daily and weekly, but some states have gone further to require breaks not guaranteed by federal regulations. Lawmakers, however, are trying to preempt states and prevent them from passing such laws. The language they've put unto the aviation rule is similar to language which was put into a transportation bill earlier. While the language had to be removed during negotiations on the transportation bill, lawmakers may be successful at getting it passed and pre-empting state rules this time. The result could be more tired and hungry truckers with fewer guaranteed rest and meal breaks- which could lead to a greater accident risks. This is not the first time lawmakers have eased trucking regulations using an unrelated bill. In the Consolidated and Further Continuing Appropriations Act passed in December 2015, lawmakers changed Federal Motor Carrier Safety Regulations with language inserted into the must-pass budget bill. In the Appropriations Act, the change was made to regulations related to a 34-hour rest break. To prevent drowsy driving, truckers were required to take a 34-hour rest break after 60 hours on duty over a week or after 70 hours on duty over a seven day period. The rest break had to include two periods between 1:00 AM and 5:00 AM. Trucking advocacy groups had objected to this requirement, which was suspended due to the insertion of a provision in the Appropriations Act. This change by federal law makers, unfortunately, made the chances of a drowsy driving truck crash greater. 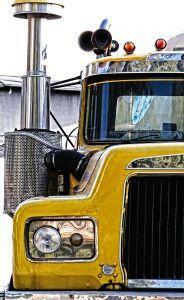 The Atlanta truck accident injury lawyers at Van Sant Law, LLC can represent victims after a truck collision. Call today at 404-991-5950 or contact us online to schedule your free consultation.